Current & Alumni Students' Achievements! Started my 33rd year coaching tennis. Began a small tennis academy 20 years ago. Since 2001 I've brought in full time players from 35 nations & 18 states. Every player has lived with my family, as family. My junior players have been #1 B18 Greece, #1 B18 USA, #1 B18 Ukraine, #1 G18 Ukraine, #1 B18 Jamaica, #1 B18 Bahamas, #1 B18 Ghana, #1 G18 Samoa, #1 B18 Nigeria.. and 5 more #1 players. There have been many, many #2-#10. I've coached two dozen WTA pro players. My top WTA player ...went on to reach #43 singles, beat 4 top 10 WTA players, and made it to the 4th round US Open. 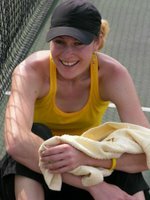 I had started coaching her after she had retired and was suicidal. Rebuilt that kid from the inside out. She now is married. and has birthed two amazing children. I've placed my players in every level of college in America on tennis scholarships. They have become attorneys, accountants, teachers, one is a medical doctor and another is in medical school, coaches, politicians. My students from the 80s are now grandparents. My students have competed in pro matches in over 25 nations, in every Grand Slam, in Davis and Fed Cup, and have reached top 5 NCAA singles. Each of these players had lived with me full time, as family. I've had over 1,500,000 hours of player management and development at 10 players x 24 hrs x 365 x 18 yrs. My eyes have seen well over 3,000,000 tennis balls being hit by my players. As such, I see anyone's strokes in slow motion and I generally see what other coaches can't. I've been successful at not going bankrupt in the worst economy in modern history, and have one of the few tennis academies in the USA that has never declared bankruptcy. I've earned over $1,500,000 and I've put it all back into discipleship and missions. My treasure is being stored in Heaven, not here. In my house I've been able to thread the needle of blending cultures, religions, and skill levels of players from around the globe.. and creating common bonds and lifelong connections. I've built a global membership of Christians in 3000+ cities in 80+ nations. My mission trips have reached 1,500,000+ tennis fans from 120+ nations. I've sent missions teams over 650,000 miles worldwide reaching world class athletes from 75+ nations. My ministry's Facebook has reached over 300,000 weekly from up to 100 nations for dozens and dozens of weeks during busy seasons. My website has reached 100,000s over the years.. and I seldom update it. I've connected with nearly every tennis industry company, have impacted players you see on TV, and am known as Coach Scotty to over 3000 tennis players in Egypt.. of which I am maybe most proud of. Please NOTE: This tennis academy program is not a school, nor do we offer any high school or post secondary education. This is a tennis training academy only. 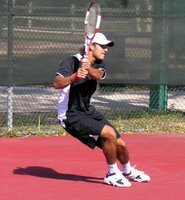 UITA has had a main hub for high performance tennis training in Jacksonville, Florida. Local hotels, host homes, churches, etc provide housing for players and parents. Additionally, couchsurfing.org is a resource for housing. 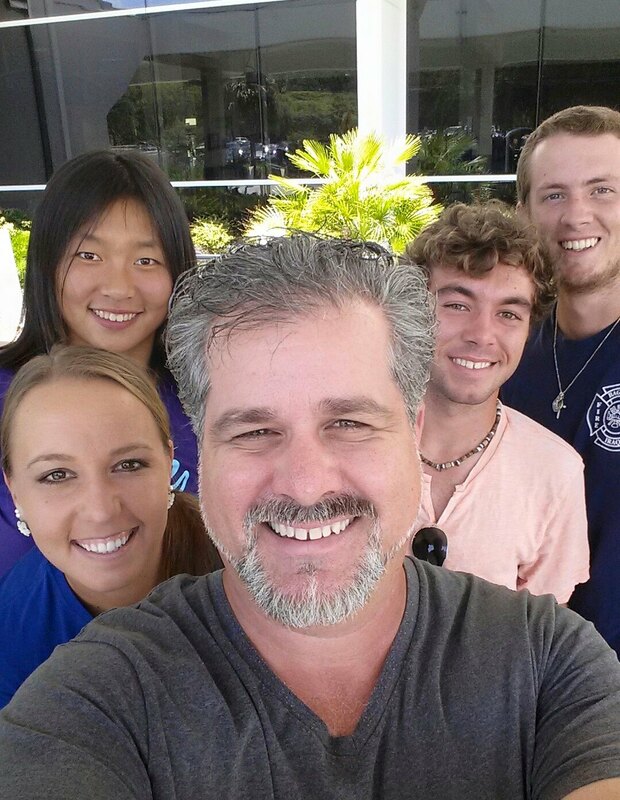 UITA has a hub for short term mission trip training in Gainesville, Florida. Churches, local host homes, and hotels in Gainesville provide housing for missions training attendees. Visit ICTA Facebook (up to 320,000 visitors weekly) and see UITA updates, pics, video, and more! click here! Since 2001, junior and pro tennis players from 35 countries and 18 USA states have attended the Ultimate Impact Tennis Academy ministry program. UITA offers a relaxed, fun, caring environment where parental involvement is welcomed and encouraged! Ultimate Impact Tennis Academy ministry program hosts tennis camps in locations such as Sharm El Shekh, Egypt; Guayaquil. Ecuador; Chosica-Lima, Peru, and throughout the southwestern USA... Florida, Georgia, North Carolina, Alabama.. and more. 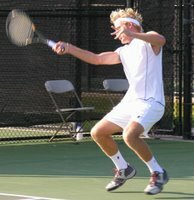 Our alumni have competed in all levels of NCAA tennis on scholarships, including reaching top 5 NCAA D1 singles ranking. And have competed worldwide in ITF & WTA pro tournaments..including main draw at Wimbledon, French Open, US Open, and Australian Open. World class tennis training in a Christian leadership development atmosphere! UITA philosophy shares that tennis training is "live ball." This means the ball is constantly in motion. Athletes never stand in lines waiting to hit a tennis ball! 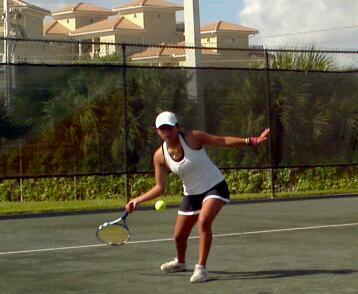 During twice daily tennis workouts, each player can expect to hit 2000+ tennis balls daily during drills & match play. Industry-wide most full time tennis academy students hit just 200-400 balls daily. Because of our industry-leading small group focus, our players can expect 5-10 times more than the industry standard for improvement! Our discipleship training focuses on Christian leadership skills development, apologetics, and missions outreach planning. All students have the opportunty to learn the uncompromising leadership skills taught by Jesus, learn how to prove & defend the validity of the Bible, and learn how to plan & implement a local, national, or international missions outreach. UITA is a ministry program designed to insire coaches, parents, players globally. 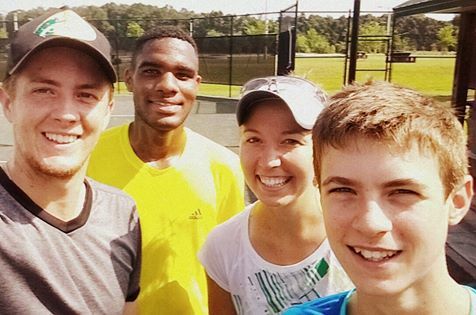 Ultimate Impact Tennis Academy maintains its dedication to remain a discipleship environment. Each athelete, parent, coach, federation official, etc... benefits from focused, individualized attention designed to help them maximize their potential both on and off the tennis court. Tennis teaching pros & high-performance tennis academy coaches, parents of world class pro & junior tennis players, and our current & former students have called our tennis environment among the finest in the world. ICTA Founder, Scott Paschal, has taught college tennis coaches, tennis pros, and leaders of tennis federations how to implement his training system. 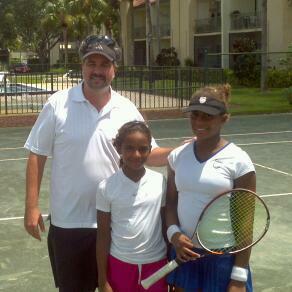 Competing in USTA Florida & national junior tournaments. 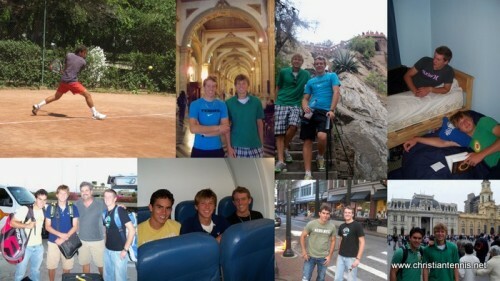 Traveling with a team and competing in ITF junior & pro circuit tournaments. 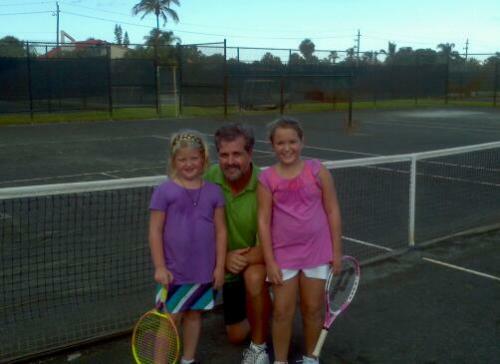 Ultimate Impact Tennis Academy is family owned and operated by ICTA Founder & President, Scott Paschal. 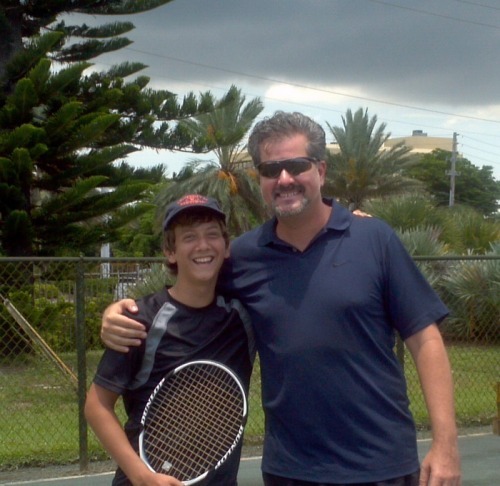 Our industry-leading program is based on Coach Scotty's 28 years of teaching tennis, 18 years of owning a tennis academy, and 16 years as Founder & President of International Christian Tennis Association. He considers UITA as a discipleship ministry which allows him and his wife to work closely with parents to develop tennis players globally into world class athletes who have a passion for Jesus and a heart for Christian missions. Fill out the form on our tennis academy web page, or email teamicta@yahoo.com. 2011 Parent Video Reference at Ultimate Impact Tennis Academy! All parents have concerns when sending their children to tennis camps & academies. Get a Mom's perspective about her son leaving home to train with us for the summer. Pro tennis player...19 year old US OPEN Junior Finalist, and former #10 ITF world ranked junior, training with Coach Scotty. Click on video to watch part of workout at Ultimate Impact Tennis Academy, as she learns how to be more aggressive with her game. Select group of UITA students (Venezuela, Ukraine, Australia, Israel, USA) to a 1-week Student Leadership University conference. SLU generously gave 100% scholarships to our students. ICTA is serious about discipleship & creating Christian leaders. "This has probably been the best summer of our son’s life. 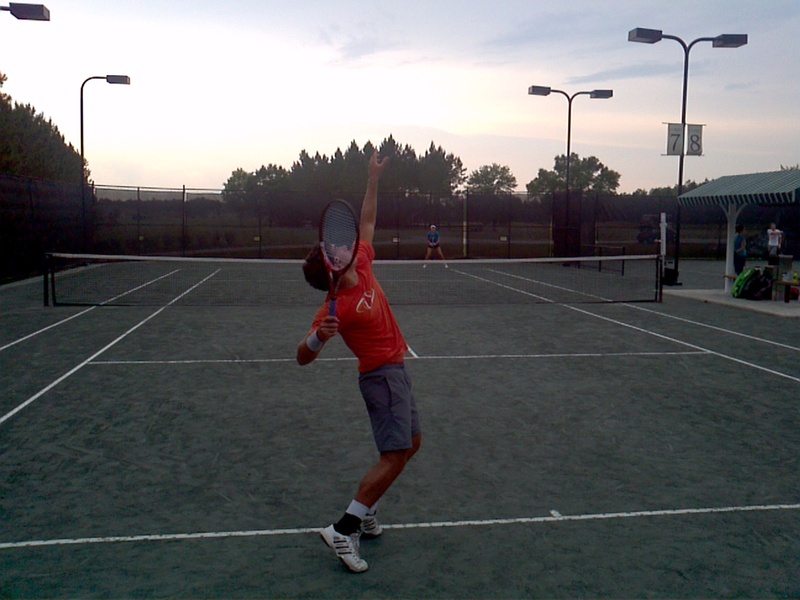 Rand's tennis skills and love for the game have really bloomed over the summer. These three students have attended for 4-5+ years each. 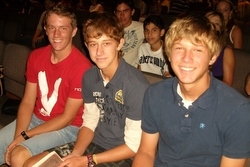 Listen to their perspective on our tennis, discipleship, and outreach programs. Representing Australia, Ukraine, Mexico. Short video of a recent hard court workout. 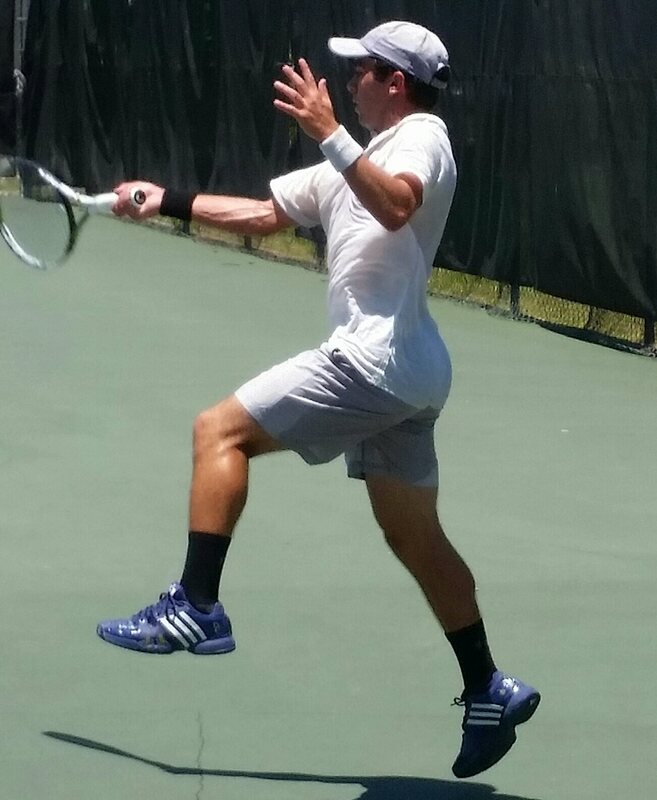 This 16 year old (top 5 G18 USA) now competes exclusively on ITF pro circuit. She is training with our Anastasia Kharchenko, after the girls just returned from an ITF $25,000 pro tournament in Alabama, in preparation for 3 ITF $10,000 pro tournaments in S America. This video was taken so players could examine their footwork. UITA costs are approximately the same as any world class tennis academy program. Yet, we offer scholarships when we have the resources & availability. While players may rent motels, homes, stay with parents, etc... we even have a program where responsible, young adults can stay as guests on Coach Scotty's ranch! Scholarships are not based only on tennis skill level or national ranking. Scholarships & grants are based on your passion, God's calling for you, and our willingness to SERVE HARD! 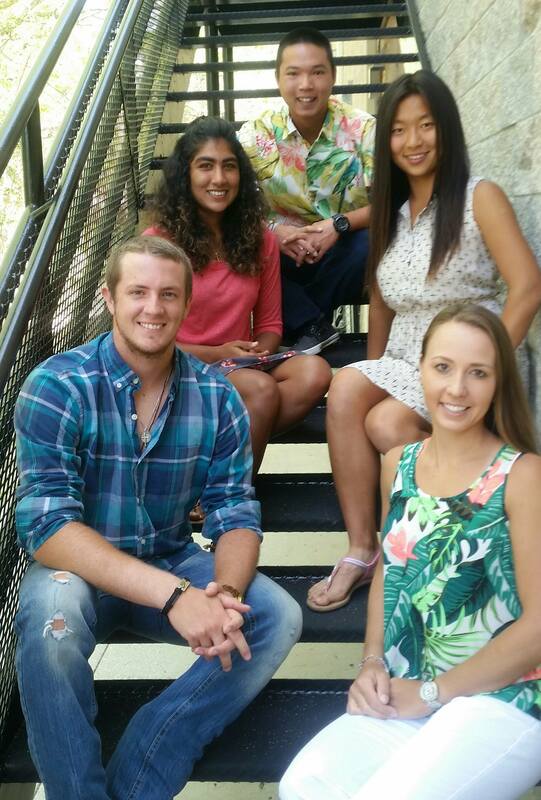 Since 2001, ICTA has provided over $250,000 in partial or full scholarships to UITA students. A group of students driving to church! Representing Australia, USA, Jordan, Venezuela, Ukraine. ICTA Men's Pro Tennis Team leaving to compete in ITF pro tournaments in Chile. Representing Mexico, USA, Australia. Two have trained here full time for 5+ years! Parents of the 3rd are on board of directors to world's largest teen-oriented Christian leadership ministry. "I am proud to say that the impact David received from this 6 week Ultimate Impact summer camp may very well have been the single most influential moments in his life. Anastasia #1 G18 Ukraine: Now a full time WTA ranked pro tennis player competing worldwide & sharing her faith in Jesus. Do you have a dream to play collegiate or pro tennis? Would you enjoy being part of a special group of talented, Christian junior tennis players from around the world? Do you want to grow in your Christian faith? Ultimate Impact Tennis Academy might be for you! Our students are among the most amazing Christian young men and women in the world. Our tennis training is among the best in the world, too! Would you enjoy 5 to 7 hrs daily of high performance tennis training 5 to 6 days each week...while also growing deeper in your walk with Jesus, living in ICTA's adult supervised housing, attending Christian conferences and concerts, and more...!? ICTA's discipleship programs are second to none, and all academy students travel to famous pro tournaments in the USA on ICTA's large-scale mission trips! World class tennis, beautiful weather & beaches, amazing discipleship programs, safe environment, global mission trips... sound like your style of fun!? Are you interested in yearly training, a full semester of training, or in weekly training camps? Are you homeschooled or do you attend a traditional school? You may leave a short message here or email us at TeamICTA@Yahoo.com! The International Christian Tennis Association welcome you to fill out this information form. You may also call us at 386 793 0557 or send us an email to TeamICTA@Yahoo.com. 2010 Summer and 2010-2011 Fall & Spring applications currently being accepted. Wow…up to 300,000 people weekly are are visiting our Facebook! Glad everyone likes it! Here are a few updates from Facebook and my blog. Please keep these potential guests in your thoughts and prayers! Me, too, as I decide which athletes, missionaries, exchange students, artists, coaches, etc.. that i will invest my time in. 19 year old professional tennis player training with our Anastasia Kharchenko at our clay court training facility in south Florida. This young athlete reached the final of 2008 US OPEN junior tournament, and held a world junior ranking of #10 ITF. For more, watch this video..! I’d love for you guys to get behind her with support! Meet Mark! I’ve coached Mark since 2006. 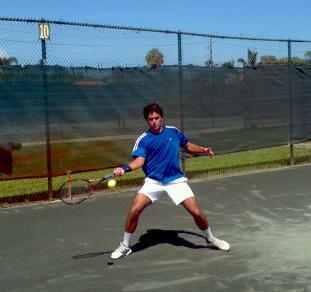 He is competing on the Palm Beach Atlantic University’s tennis team. In September he will begin Medical School. Mark was born in Mexico. His parents are US citizens live in Mexico full time as Christian missionaries. Today was a great 4 hr workout on the clay. 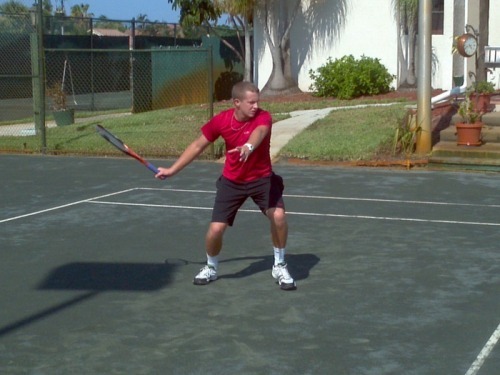 We focused on improving Mark’s backhand return of serve, and helping him to become more aggressive on his serve. Vivian warming for morning workout. This awesome 15 year old is from Ecuador. Vivian’s father signed her up as a member of International Christian Tennis Association when she was just 11… and now here she is training with us full time! I've accepted Vivian for training as a member of ICTA Women's Pro Tennis Team. She will live, train, and travel with the team worldwide. Great to have Nicky (rt) workout with us, today! 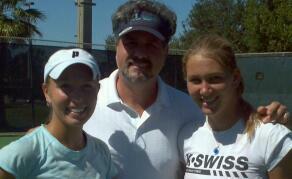 Nicky (Czech, WTA ranked, 18 years of age, and #5 G18 USA) and her Mom were both very kind and fun to be around. Nicky is preparing for an ITF $10,000 tournament in Puerto Rica next week. 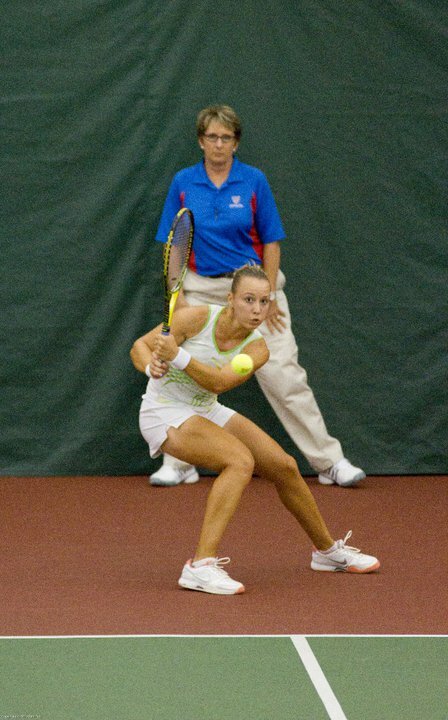 She stayed with our Anastasia Kharchenko at our host home last week during the ITF $25,000 tournament in Rock Hill, SC. Ana and Nicky are planning to travel together to Tunisia in November for 3 ITF Pro tournaments.. Please keep Nicky and her family and her coaches in your prayers! A pic of Juan and me! Juan trained ed with us Summer 2010. He is 14 years of age and is from Venezuela. His father is a special, trusted friend. This funny kid is a blast to have in our tennis academy. I enjoy bringing our awesome athletes to the track to work on their stamina, quickness, and explosive power. International Christian Tennis Association’s Ultimate Impact Tennis Academy students can expect the strongest tennis training offered anywhere. Footwork, weights, plyometrics, mental, nutritional, emotional, flexibility, tennis twice daily, biking, strategy, tactics…. Glad to introduce you to Tyra and Ali! At 13 years of age, Ali is considered by some to be the world’s top female 14 & Under junior tennis player. Her Mom and Dad have done a GREAT job developing/coaching her. I'm not sure if she is the world's best, as China and Russia have some incredible kids her age, but I can see Ali developing into a top 200 WTA player by 16 years of age. Tyra is Ali’s sister. She is 10 years of age showing the same potential! Wonderful for God to lead them to spend time hanging out and training with us. I look forward sharing more about them with you in the coming months as we see what God has planned in their lives!! These guys had a BLAST watching Anastasia workout w her hitting partners this morning. Would love for you to come visit, too! David warming up a WTA ranked pro player. I’ve coached David for 4+ years full time. He is growing into an outstanding tennis player. His leadership skills are blossoming, as well. David is from Australia…and his parents have become my great friends whom i trust and care about. I am excited to introduce him to you guys more in-depth through our new blog here at TUMBLR! Warming up Alison for her match during a $50,000 USTA pro circuit tournament. Alison has reached a career high of WTA #104 this year. Please keep this super nice girl in your prayers. 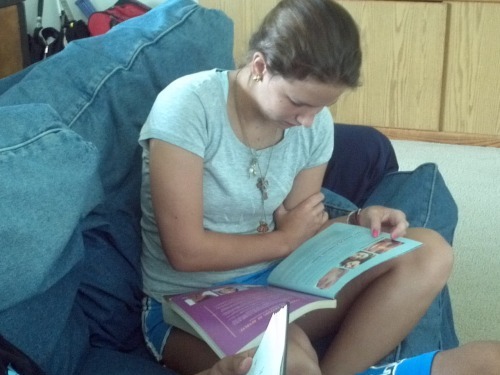 Maria studying her new New Testament bible during discipleship training. This New Testament is called Revolve. It was written in a relevant magazine-type format that kids love! Maria is 16 years of age and is from Venezuela. Maria is such a joy for us all! And she is having a GREAT time this summer with us. Her tennis and her faith are much stronger! 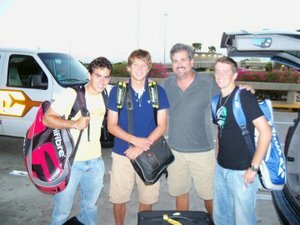 International Christian Tennis Association Men’s Pro Tennis Team journeyed to Chile on a Christian outreach to two ITF Men’s Futures pro tournaments. Mark (red shorts), who I’ve coached for 5+ years and whose parents are full time missionaries in Mexico, planned and organized the outreach. The guys did a fine job and gained much valuable experience that they will carry for a lifetime. Mark begins his college tennis career in September, and plans to have a Christian medical ministry an Internal Medicine doctor. Super fun time teaching tennis to these two! I love coaching a husband and wife team. Especially a couple who really want to learn! I enjoy working with the parents of my students! Tennis can do many things…such as improve health…and improve marriages! 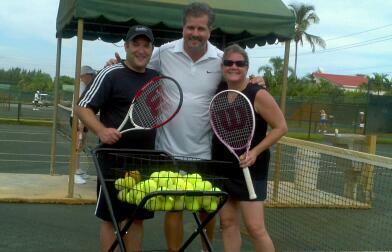 For marriages…I use tennis to improve teamwork, goal setting, compromise, words of encouragement. These two are having a BLAST training together! God worked through this awesome guy, John Maxwell, to impact my life as a man and Christian leader in HUGE ways. John Maxwell is the world’s leading expert on Christian leadership development. I am thrilled and honored to have this picture with him.